The bed was very comfortable!!! The walls were freshly painted, new curtains, all new furniture and appliances. Bathroom was clean. Front desk lady was friendly and accommodating, she did what she could with what she had ( very limited resources, cups, towels, toilet paper..etc). The bed was so comfy and large. Although, the swimming pools were being renovated we could'nt swim and my daughter was bumbed. Maybe next time. The staff is very friendly at check-in. This is a pet friendly hotel. There is a $10 charge for pets. No cups for coffee maker, then the ones they gave me were to small and coffe overflowed.... nice bathroom newly re done. Carpet hadn’t been vacuumed... sunflower seeds on floor. Everything was great. The ladies up front were so helpful and nice it made me staying there so much better. I would recommend the hotel to other coworkers. The bed was the best so comfortable for sure. Again both ladies up front morning and night were the best thank you for the experience. Very clean . Staff dry friendly and helpful and courteous . Only issue, not enough coffee supply in room. The room was nicely modernized to fit my business need. Excellent location for my class with the Forestry Service. The price was cheap when purchased booking. The location was super close to Bent county correctional facility. Great price, great bed. better bed than the Marriott I am in now. The staff were friendly and doing their very best. Red Lion Hotel LaJunta This rating is a reflection of how the property compares to the industry standard when it comes to price, facilities and services available. It's based on a self-evaluation by the property. Use this rating to help choose your stay! 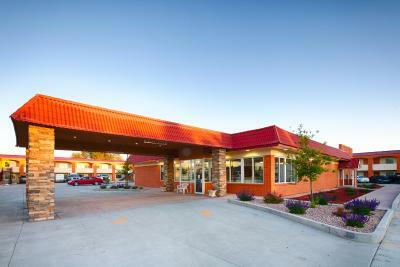 Red Lion Hotel LaJunta provides air-conditioned accommodations in La Junta. The property has a 24-hour front desk as well as free WiFi. At the hotel, the rooms are equipped with a desk. Selected rooms here will provide you with a kitchenette with a microwave. The rooms will provide guests with a closet and a coffee machine. When would you like to stay at Red Lion Hotel LaJunta? 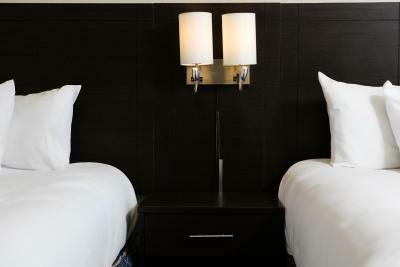 This room includes 2 complimentary Dickey's BBQ sandwiches from the on-site restaurant. Newly remodeled location, with Brand new Beds! House Rules Red Lion Hotel LaJunta takes special requests – add in the next step! Red Lion Hotel LaJunta accepts these cards and reserves the right to temporarily hold an amount prior to arrival. Please note that the pool is currently closed for renovations. Contact the property for more information. For starters. Upon checking in I was formed because I booked on line I had to pay a $200 deposit. There was nothing stated anywhere on the website (booking.com) saying that this property would charge for damage deposit upon checking in. Booking.com has my credit on file when you book. I never had this happen while using booking. They did the same thing to my parents, who actually booked on RedLion website with credit card. The last at the front desk was polite and respectful about the situation. She did work with me. She ended up telling me that they are no longer Red Lion and a bank owes the hotel, that is why she had to collect the $200 deposit. So hotel is going through management/ownership/ financial issues who knows.. I had stayed here a couple of other times and paid cash for room and didn't need a deposit.... Now actually as far as the hotel and it's room....had no washcloths ( when asked for didn't have any clean), several electrical outlets didn't work, and advertisement of having a restaurant ( Dickey's BBQ) on site...welp! that restaurant no longer is opened at this location. The room needed to be vaccummed a little better, and there were no cups for coffee, no trash bags in trash cans, no hand soap. Hairdryer didn't work, remote for tv only changed channels. The place was very dirty, there was no hot water to our room and there was a $200 deposit that I had to pay which I have not received back yet. The comforter had blood on it. The floor had M & M and trash on it. It also had a sock under the bed. It was NOT clean at all. The location to where we were visiting. Pretty dumpy. In a sketchy part of the town. The hotel is mostly empty (rooms don’t have furniture) and the restaurant is boarded up. They are rebuilding a sewer plant a block away. We came in October as well and the smell was horrible with so many flies in our room! We called before booking this trip and asked if the smell was still bad. The front desk said no, they lied!!! It’s on the end of town and beds were comfy!! I didn't dislike anything. It is great for price and location. Better than expected, for rate. The lock on the door is not very secure. The television hutch was dusty. I would of liked it cleaned better for sure. Needed to wipe down better n sweep n vacuum alot better.